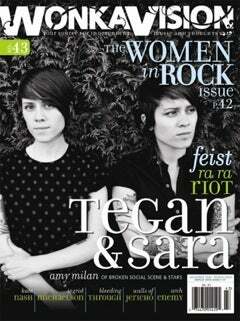 Independent music mag Wonka Vision has published its first “Women in Rock” issue. Inside are interviews with female musicians, engineers, and managers that touch on the difficulties women face in a sexist industry. However, Kate Hiltz, a band and tour manager says that things are getting a little better for women in rock: “I think it used to be more of an issue than it is now. I used to get a lot more comments like ‘whose girlfriend are you?’” While this is not exactly great progress, hopefully “Women in Rock” will at the very least shed some light on the many women toiling away backstage.